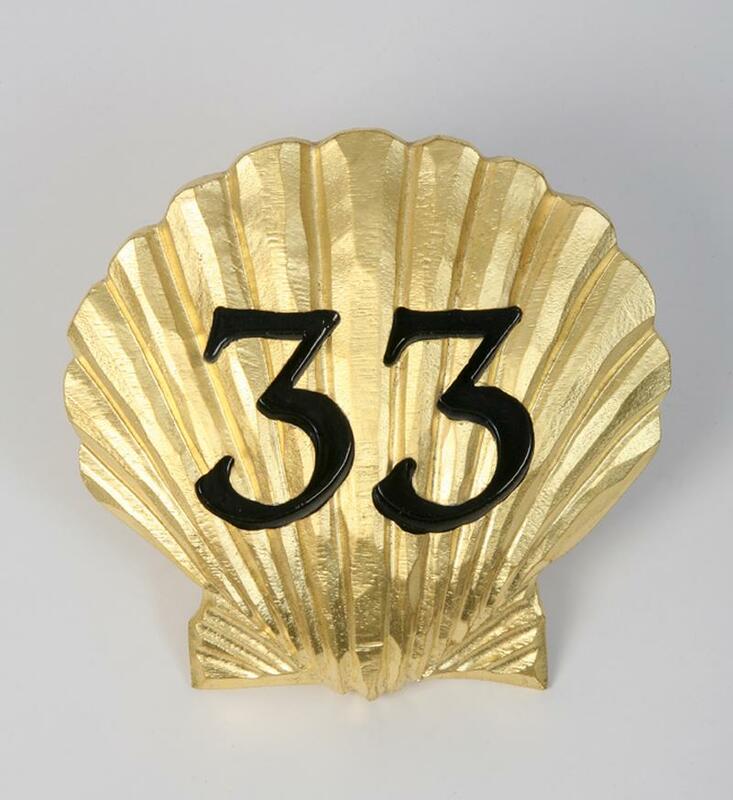 You're currently viewing product Scallop Shell Number in category House Number Signs. 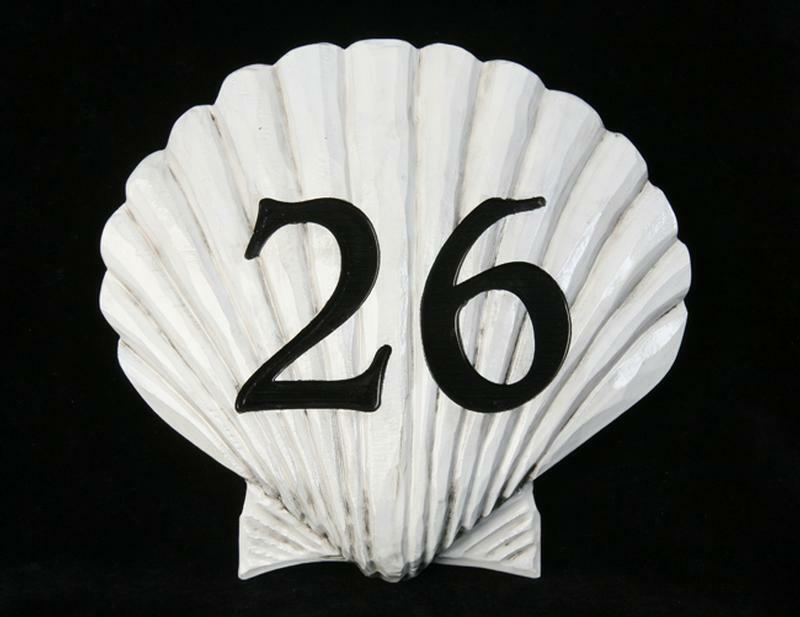 House number carved into a 6" or 8" scallop shell. Can be finished in 23k gold leaf, metallic silver finish, or white. The carved numbers are typically done in black, as it has the best contrast. If you would like the shell or numbers to be a different color, please write so in the comment section when you place your order. Shells come with studs in the back to mount against a flat surface.